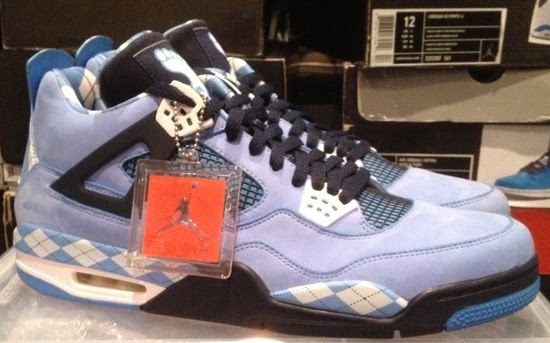 A rare Air Jordan 4 Retro PE made exclusively for the Tar Heels. Check out the auction here. This Air Jordan 4 Retro comes in university blue, white and midnight navy. 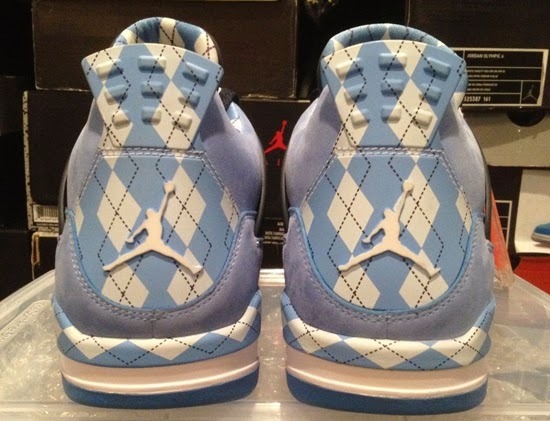 Made to match the University of North Carolina Tar Heel's team colors. They feature a university blue based nubuck upper with white and midnight navy accents as well as an argyle-like design on parts of the midsole, sockliner and back heel. 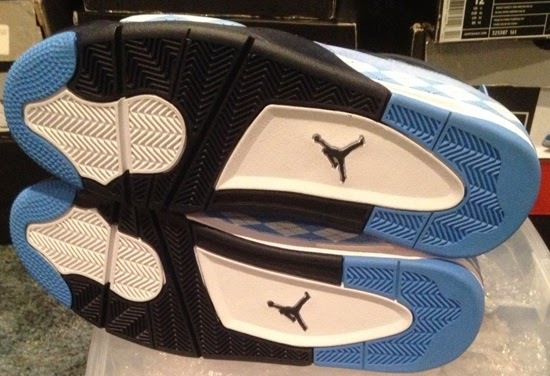 The Tar Heels logo is found on the tongue tag. 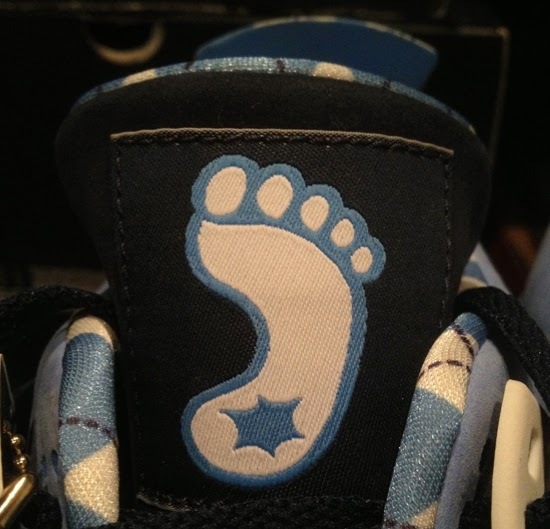 These player exclusive's were made for select players and staff for the 2012-13 UNC men's basketball team as well as Jordan Brand and were never sold in stores or available to the public. Enjoy the images below of the University of North Carolina Tar Heels Air Jordan 4 Retro PE in university blue, white and midnight navy. 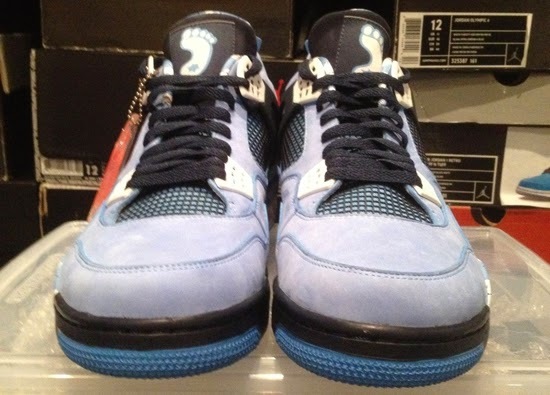 If you can fit a size 14 or would like to add these to your collection, you can grab them from eBay here.